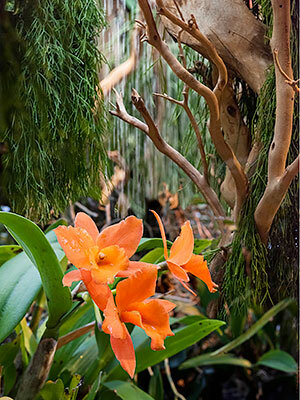 Orchids After Hours, Thursday evenings, 4 – 8 p.m. The tropics are closer than you think. 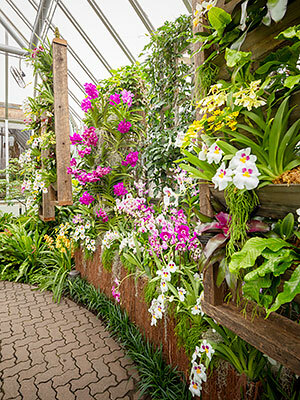 It may be cold outside, but it’s warm inside at the Orchid Show Greenhouses and Galleries. Hear live Morning Music with Orchids on Tuesdays and Thursdays, or treat yourself to weekend brunch with a view at the Garden View Café after seeing the best flower show in town. It’s the best. Eye candy. Ever. 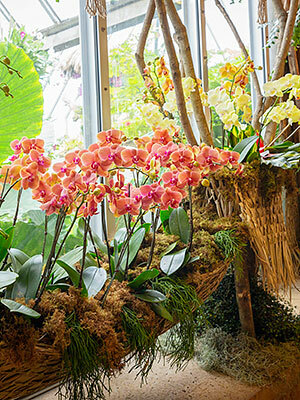 Ready to buy an orchid for your home? The Garden Shop sells several varieties and mini-orchids, vendors at the Orchid Marketplace on weekends sell beautiful potted orchids, and the post-show plant sale offers many of the plants displayed in the exhibition at greatly reduced prices. Join the Illinois Orchid Society at its spring show and sale where vendors will be on-site to sell orchid plants and related products.